Posted on July 9, 2013 February 27, 2014 by Heather W.
A special thanks to The Man Pack for providing us with a free product to review on the blog! Finding a bag that suits my husband is never an easy task and he has stuck with the same one for many years! I was excited to introduce him to the Man-PACK as it consisted of all of the right pockets to handle what he normally carries in a bag. The Man-PACK offers solutions for many of the cons I find in the back pack my husband currently uses. His most essential item, which is always in his back pack, is the laptop. The shape of the bag allows the lap top to fit snugly, keeping it from shifting or moving about in the bag. Then there are the dozens of pens and all the change that always settles at the very bottom of his bag. There is an ample amount of pockets made specifically for small items such as money and pens. Every morning I watch my husband sling a back pack over his shoulder and venture off to work. The most important feature, in my opinion, is that it has three positions in which you can wear it, all which allow it to be worn without putting stress on your back. 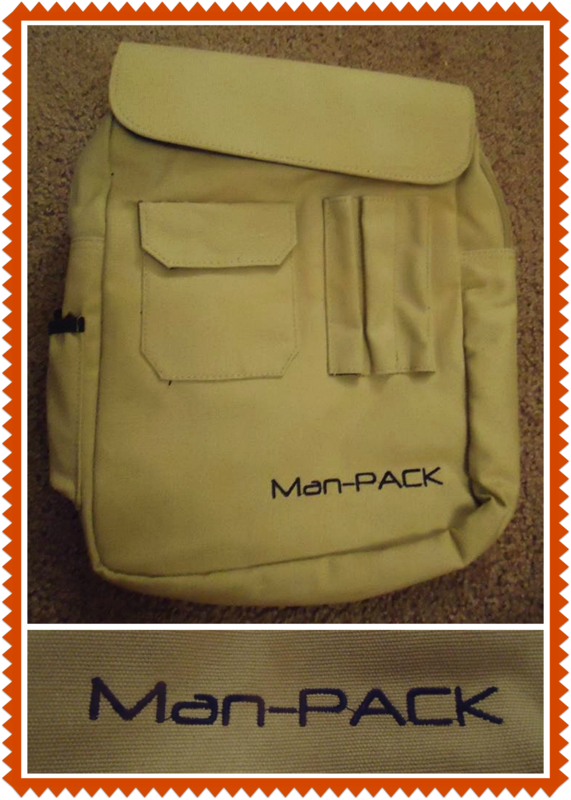 The Man-PACK is also great for carrying items when doing the manly outdoorsy type things that men like to do. After a long day of working in the office, my husband will often go fishing with his coworkers at the end of the day. 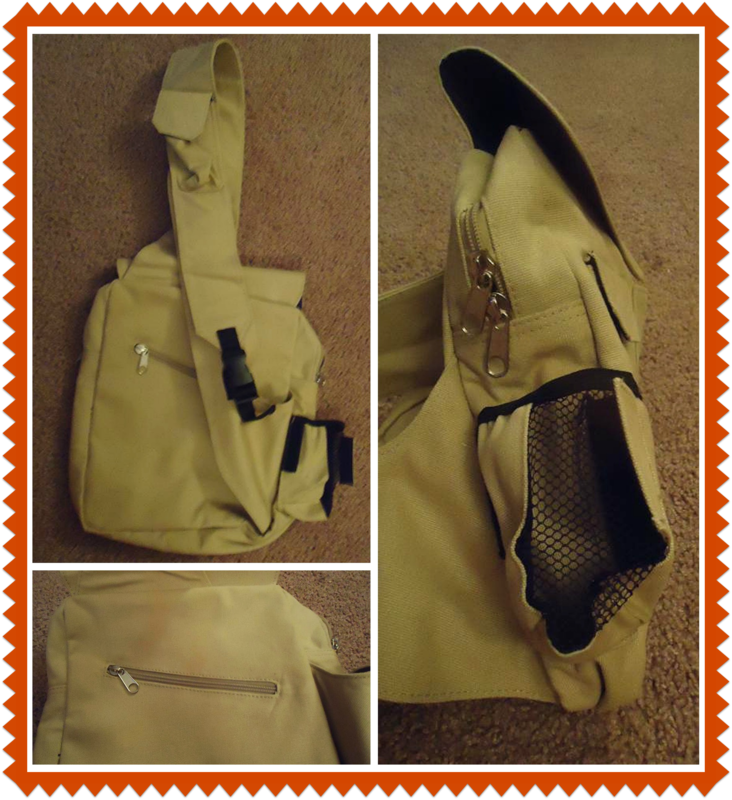 The Man-PACK will conveniently hold a beverage and anything else he will need to bring along with him! A back pack that can be used for multiple purposes and occasions, while not causing my husband any sort of back stress is a great product! You can purchase the Man-PACK today and help back their project, they are getting closer and closer to their goal!!! Don’t forget to visit the Man-PACK website! You can also find them on Facebook, Twitter and YouTube! Love this! My brother-in-law would love it! I bought this for my husband, and before a year was over, the seams were ripping. I bought him a second to replace that one, and the same thing happened along with the zipper breaking. I contacted the company and was very disappointed with their response. I will not buy from them again.